Let me first start by saying Season’s Greetings! I am having a wonderful holiday season, and what started off as dreary year has wrapped up with fun and excitement. Thanks for this goes out largely to the awesomely inspiring Felicia Day! I imagine that many of you reading this blog are most likely here because you have already seen “The Guild Sells Out” YouTube Xmas spoof commercials. (http://bit.ly/guildxmas) Felicia was kind enough to let me hold the keys to the Knights of Good kingdom for a little while to bring those 7 videos to your computer screen. It was quite an amazing adventure, and it combined all of my favorite things: Good friends, great fans, and making things! I’m sure so many of you are hoping that this entry will be about the behind the scenes of filming with the Guild. And you probably want me to divulge information about working with Felicia, like what she likes to eat on set, and how often does she sing? I guess I could get to all of that eventually, but you should know me well enough by now to know that I am really hung up on that “making things” part! 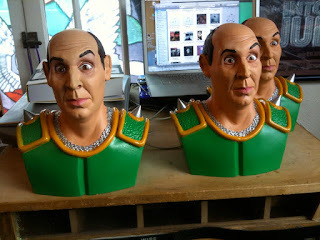 I thought I would share with you some of the processes I used to make the Guild product props. Each of the products utilized different techniques, so I’ll go through each one individually and give you an arsenal of methods to create Guild stuff of your own! The final six products developed out of a series of conversations Felicia, producer Kim Evey, and I had while planning the shoot, but several of the ideas cemented themselves in place rather quickly. The Vork Unbreakable Bank was one of them. The idea of a piggy bank where the money goes in but can’t come out seemed to fit Vork’s profile perfectly. 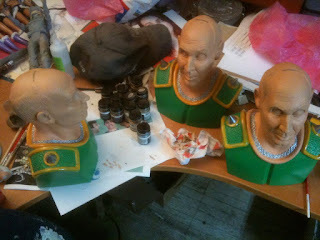 And it was a great opportunity to create a character likeness, which I felt was an important part of the formula. I didn’t want any of the props to appear to be pre-existing items that logos or photos were adhered to. I wanted every product to unmistakably be created for the guild. 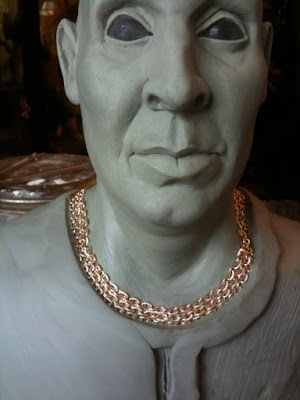 And what a better way to start than a ¼ scale bust of Jeff Lewis! I was excited to start with the Vork bank, mostly because I really enjoy the expressions Jeff makes in the show. Watching The Guild always cracks me up, (go see for yourself if you haven’t already: www.watchtheguild.com) but Jeff can make my laugh by simply raising an eyebrow. I really wanted to capture the energy he puts into his character, and as soon as Felicia gave me the go-ahead to make the commercials, that’s where I started. 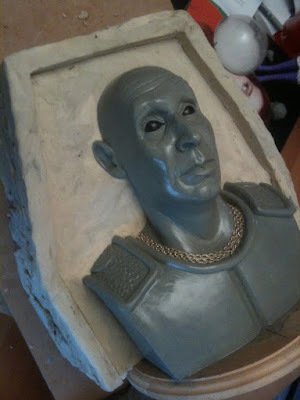 I’ve had to sculpt many celebrities before, and I usually begin by combing through magazines and photo archives trying to get as many photos of them from as many angles as possible. Front and profile are usually easy to find, but it’s the unusual angles that get you. And those are the ones you need the most to connect the dots and get a great likeness! I was completely spoiled for this project, because not only did I have the entire Guild cast at my disposal for a photo shoot, but I also had the unbelievably talented Bui Brothers light them and photograph every angle I needed! Thanks, guys! Photo 001: We took dozens of pictures, but I picked through them and assembled a basic chart of my favorites in Photoshop. I chose a front, left, right, and back to begin. Using guidelines and the scaling tool, I made sure that all four views lined up perfectly and were the same size. I printed the whole chart as a full page, then printed each view individually, scaled to the exact size I wanted the sculpture to be. 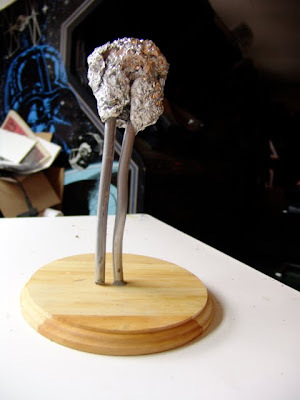 Photo 01a: Using the front printout as a guide, I created a simple armature using aluminum wire and a ball of foil. 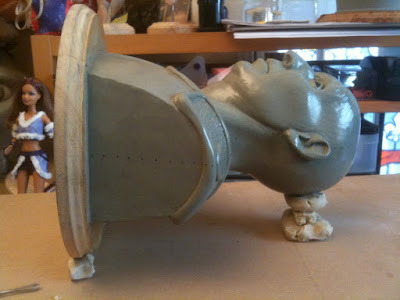 The foil takes up a bit of mass in the head, but it is mostly just to provide stability for the clay. Using too much foil limits the amount you can cut back into your sculpture, using too little or none at all may cause the clay to slide down the wire and distort your finished product. 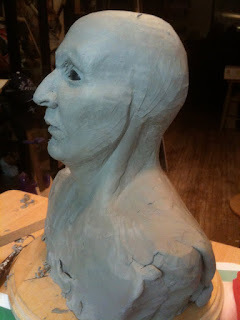 Photo 01: Next I roughed in a human bust shape using Roma Plastilina #3. Some people prefer a firmer clay, but I like the organic movement I get from this grade. Plus, it warms up faster and moves smoother, so as long as I don’t knock it off the sculpting stand, it will stay in the shape I want. I have 2 weeks to make six props, so I figure I can’t spend more than two days each on them. Soft, fast clay is in order! 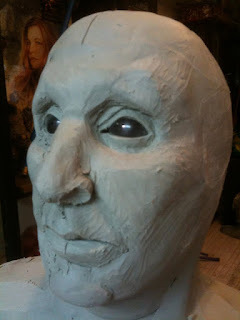 Photo 02: Once there is enough clay to represent the basic mass of a head, I draw a line down the center of the plain that will become the face. 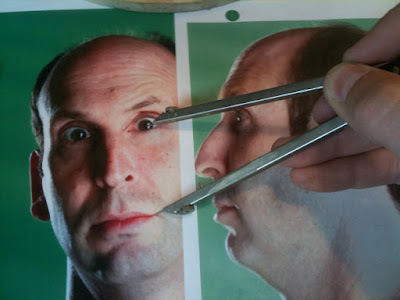 Using the full size front printout, I judged the spacing of Jeff’s eyes and dug out 2 holes for sockets. 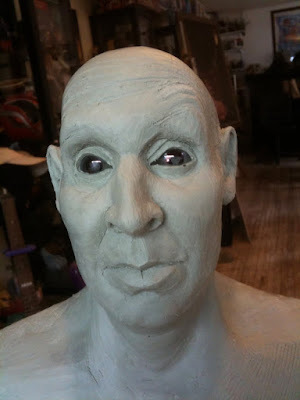 Photo 03: A good trick to help a portrait sculpture (or any sculpture with eyes, actually) go quickly is to use rigid spheres for eyeballs. 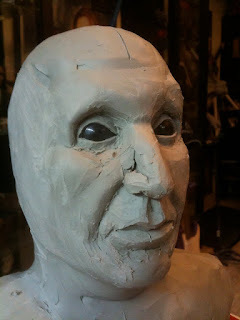 You can always sculpt them in clay, but often they change shape, size, and placement as you move the clay around them. 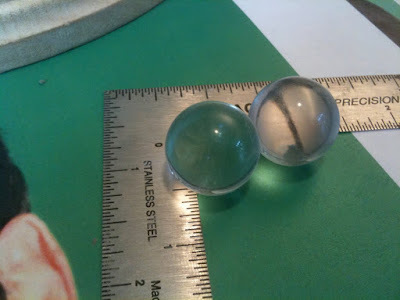 By using BBs or marbles or whatever is the perfect size ball for your sculpt, you can always rely on them to be constant no matter how much sculpting, sawing, or brushing you are doing to the sculpture. Just make sure they are the right size. And remember that the eyeball is bigger than what the eyelids expose. 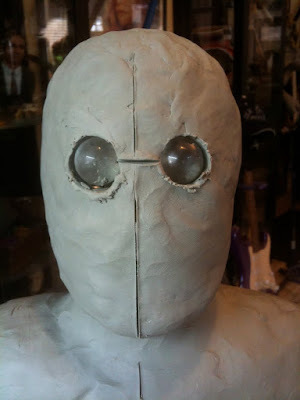 Photo 04: Place the spheres into the head. Make sure you don’t sink them too far back. I really should have taken a profile picture here, as it is important to get the depth right as much as the distance apart. 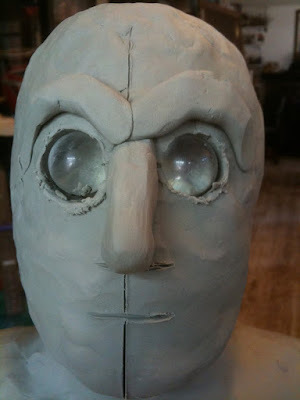 Photo 05: Another reason why rigid spheres are handy is because you can use them to set the balance of your sculpture. I used my 4-inch angle to make sure they were set level into the head. All too often one eye will end up too far back or too forward, throwing off all the other plains of the face. 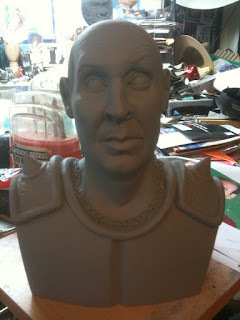 Everything will line up and parts of the sculpture will seem so accurate, but the likeness will still feel off. By starting with balanced eyes, everything else gets built up around them and you can always go back to the eyes as a baseline for measurements. 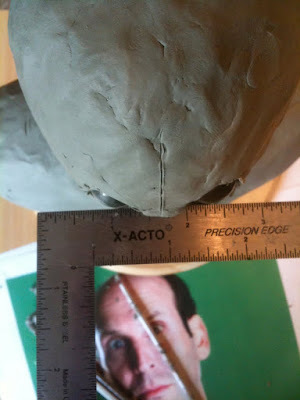 Photo 06: Using my calipers, I took distances of all Jeff’s features, using the center of the eyes as the common fixed point. 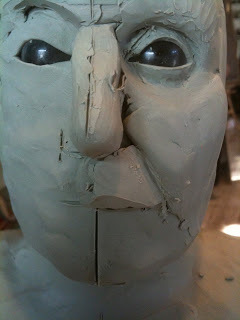 Photo 7: Then I transferred the nose and mouth placement to the sculpt. 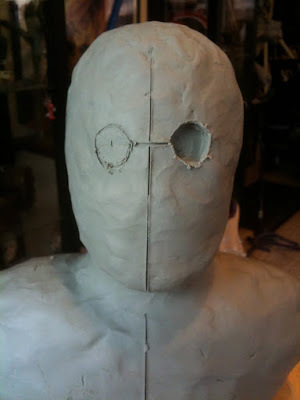 Photo 8: Next I started building up all the surfaces forward of the eyes. Photo 9: Again, keep in mind to reference ALL your photo views! Judge the amount of clay to use for the nose and brow by the distance they protrude from the surface of the eye. Photo 10: Then I added some cheek and eye area. I shaped the bridge of the nose a little, too, because it was helping me define the surfaces connecting the brow to the eye. 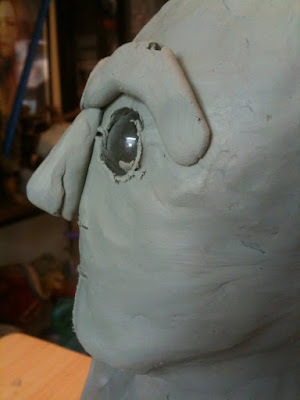 Photo 11: It’s still pretty early on, but I made the first decision to lock in a shape by defining Jeff’s eyelids. I’m sure I adjusted it a few times moving forward, but at this point it helped me judge distances to all the other features. You can see I scored a hint of the nasal labial. 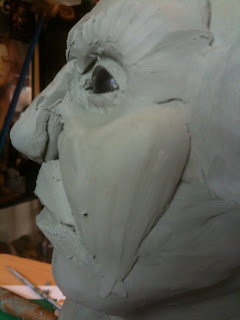 Photo 12/12a: Here I built up a little more cheek and started the upper lip. Note that I focused on roughing out one side first. This isn’t really necessary, I’m not even sure if other artists do this, I just find it speeds things up to work out a basic plan on one side, duplicate it on the other when its feeling right, then refine them together to get the thing working as a whole. Photo 13/13a: Then I jumped to the lower lip. 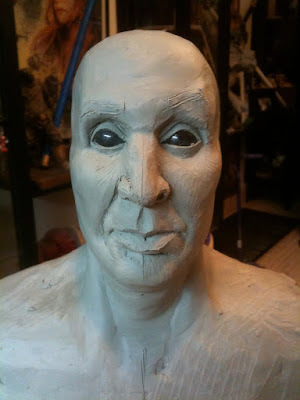 As often as I sculpt the human face, I never really think about how far the lips protrude beyond the eyes until I look at photos. And it varies so dramatically from person to person so be sure to check your reference rather than use generic proportions. Photo 14: Now I roughed in the other side. 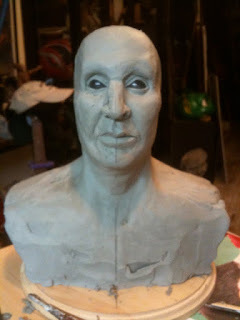 Photo 15/15a: At this point I added the beginning of a chin and started refining the features. I just studied the way the light and shadows moved across Jeff’s face in the photos and tried to create surfaces that would emulate the same result in the sculpt. 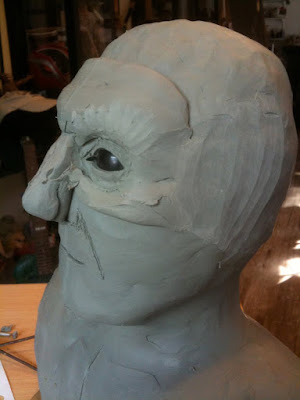 Photo 16/16a: Probably the worst obstacle in portrait sculpting is staring at it too long! 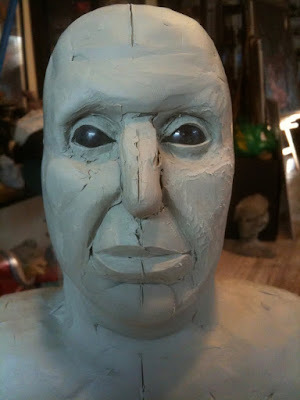 Somehow the mind just starts filling in the blanks, and your lump of clay appears to be a perfect likeness. This piece was starting to look enough like Jeff to me that I knew it was time to take a break and get some new perspective. So I started working on the neck and body. Photo 17: I also took this opportunity to define the back of the head, and add a little muscle definition to the shoulders. Photo 18: Having not looked at the face for half an hour, I could now see it with fresh eyes and make some of the necessary corrections to bring it closer to the likeness. It seemed like the appropriate time to start working in that expression that always makes me laugh! 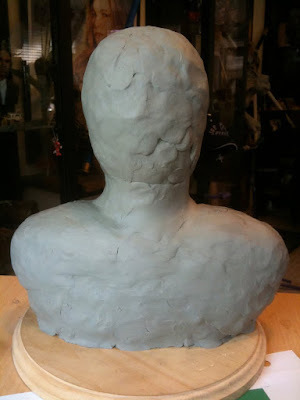 Photo 19: It still wasn’t 100% Jeff, and I think part of it was the whole head was still too rough. I used my rake tool to refine the shape and get it closer to what I was seeing in the photos. Photo 20: That’s getting better! Part of what sells that expression is the furrowed brow, and now that I have the forehead and temples defined, I can add that detail. I don’t want to carve them in too heavy, but they should still be more than subtle so they read. Photo 21/21a: Now I started adding ears. 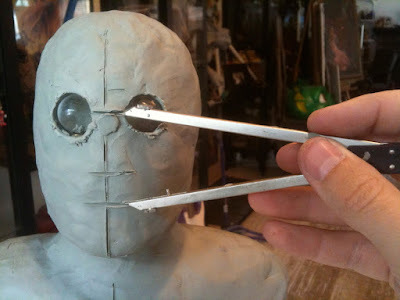 Always referring to the printouts, I used the calipers to mark the distances from the center surface of the eyes. Photo 22: It’s always important to keep everything balanced and symmetrical (unless, of course, they aren’t in real life!) but if I had to pick only one view to focus on for the ears, I would concentrate on the front view. 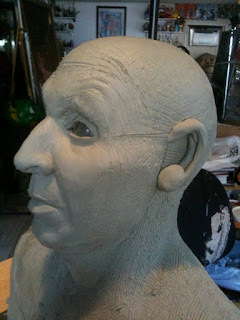 Every little subtle change in surface along the sculpted head will affect placement of the ears, and it is often maddening to get them perfect from all views. But a little side-to-side might go unnoticed, however one higher than the other will always through the sculpture off. Photo 23: Almost done. I really liked the contrast between Vork’s smooth armor chest plate and the chainmail underneath. The photos I had of Jeff in costume from the “Do You Want To Date My Avatar” video shoot only had hints of the mail poking out around his neck, but I thought I could cheat it a little to add some texture. Not wanting to spend hours sculpting links, I went to KitKraft.biz and found some jewelry chain that felt like the right scale. I pressed it into the clay in an overlapping pattern, making sure that there were no free floating links so it would mold well. Then I started roughing out the chest plate. Photo 24: Here you can see the trim and the shoulder pads. You may also note that Vork’s face is smoother. I brushed him down with isopropyl alcohol to take out all the tool marks. 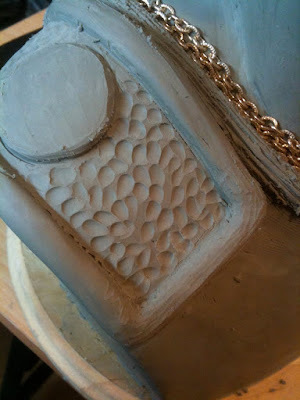 Photo 25: I used my loop tool to carve out some “hammered metal” texture on the shoulder pads. I thought it would make the armor look more imposing. Photo 27/27a: If you look closely, you can see the part line I am dotting in with a sharpie. I am about to make a 2-part silicone box mold and this line represents where it will separate. The trick is to find the straightest path around the object to be molded while trying to always stay on the most outward surface towards the center of the object. Hmm, this may require drawing an additional diagram! If you imagine everything you mold as a ball, you always want the part line to be through the center of the ball. If it splits the ball above or below the middle, the larger half of the ball will get stuck in the mold because the mold opening will be smaller than the widest part of the ball. Obviously not everything will be as simple as a ball. 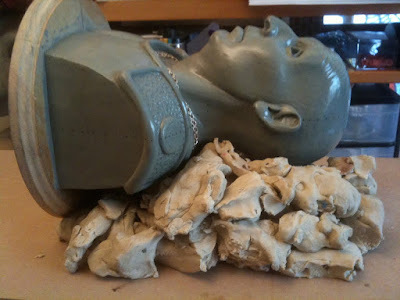 But keep in mind that you never want any part of your sculpture to be wider than the opening of your mold. A good example on Vork would be his ears. Notice how I changed the course of my line to follow his outer helix, then wrapped back around to the center of his skull? 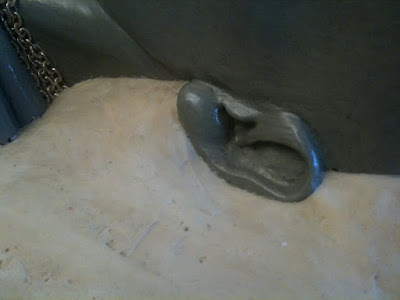 If I had just cut in front or behind the ear, I would have problems both with air and with removing the piece during casting. Photo 28: Wow! I think this is my longest blog ever! But I’ll power through. 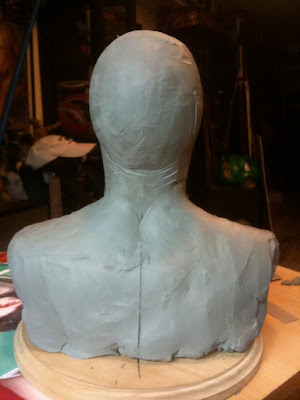 Following are some basic molding tips that help me get through every project. Always keep in mind that these principles can be applied to any project you do, not just Vork banks! 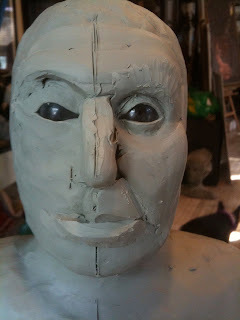 Molding starts with finding a wooden board larger than your sculpture lying with the part line being horizontal. Place it on a few pieces of soft clay to suspend it off the board a few inches. There are many clays you can use for mold making, but for projects like this I prefer clean clay, or leisure clay. Its soft, doesn’t react with RTV rubber, and doesn’t leave residue on my sculptures! 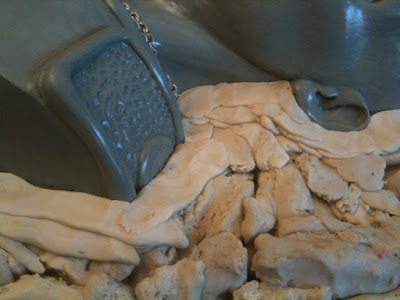 Photo 29: Break the clean clay into small pieces and use them as building blocks to create a “bed” under your sculpture. 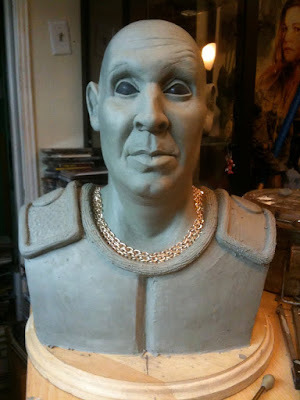 A couple of tricks here: Try to fill as much negative space under and around your sculpture as possible. 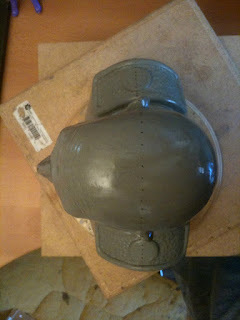 Any large cavities have the potential to fill with molding rubber when you pour the first side. The rubber is very expensive, so this is a good way to minimize waste should an unforeseen leak occur. BUT, do not pack the clean clay into those spaces too tightly. 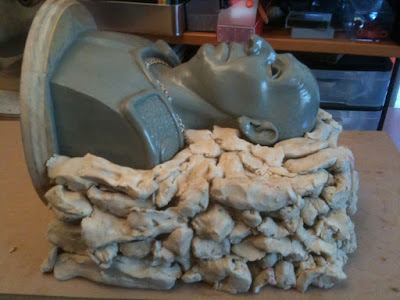 Ultimately, this clay will be removed, and the less force you have to use to get it out, the less chance of damaging your sculpture before the mold is completed. Photo 30: Here’s the process further along. The object is to build the bed of clay right up to the parting line. 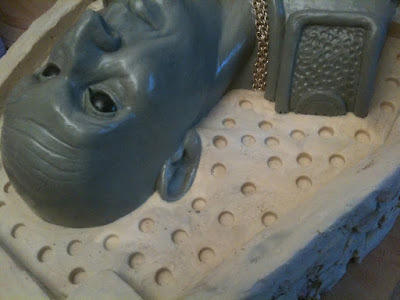 If you are wondering why the bed is so thick, as opposed to the sculpture lying directly on the board, its because the clay bed represents the second half of the mold. 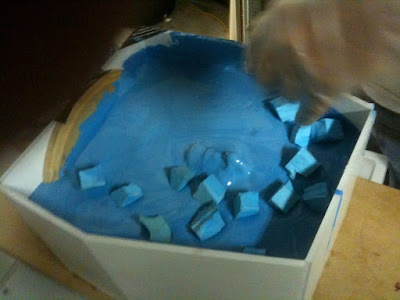 You want the clay to be as thick as the silicone will be, so you won’t have to rebuild your box. 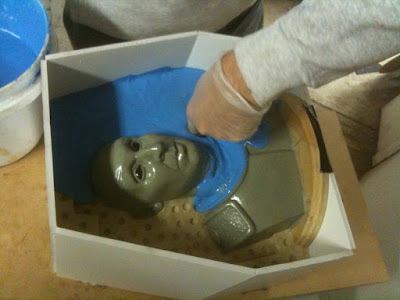 Photo 31: Its important to really analyze your sculpture before you start the mold. This Vork mold is very straight forward, and I planned it that way in the sculpting stage to help keep things happening quickly. 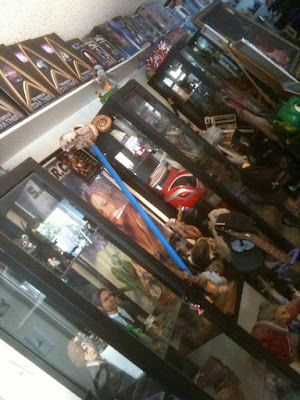 But, you can see by this photo of my studio, I’ve done this a few thousand times! Yet every mold has a challenge, and some dark secret waiting to catch me off guard. It’s especially difficult with the soft clay sculptures, because you basically have one shot. 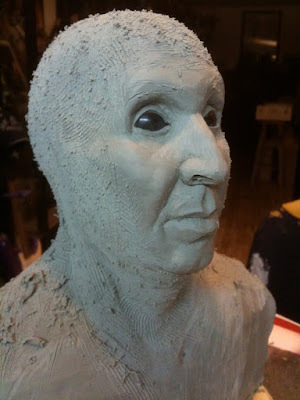 Rarely does a soft sculpt survive the molding process. It can happen, but you shouldn't count on it. That’s why planning is so important. 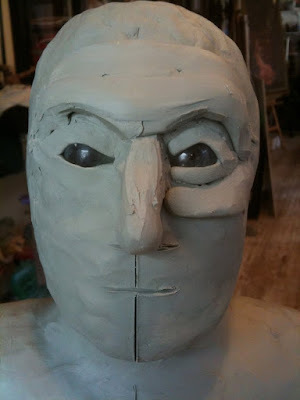 Photo 32: When creating the bed, also try to avoid pushing the clean clay into your sculpture. The Crystal Clear has created a protective skin, but don’t push your luck! 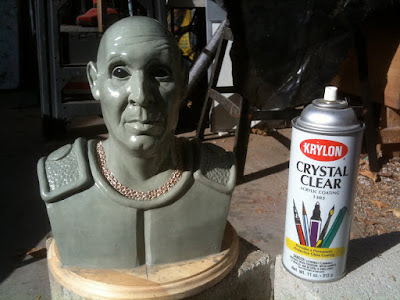 Especially if your sculpture has finer texture or more detail than Vork. 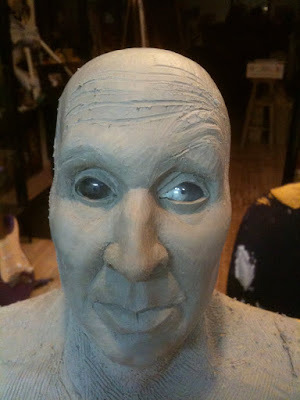 But, as you get to the parting line, you do want to nudge that clay right up to your sculpt. The clean clay won’t stick, so you need to create a pressure seal to prevent the liquid silicone rubber from leaking through. It’s a fine line between getting the mold right and damaging the sculpt. Be careful! Photo 33: Once I have the parting line clayed up, I smooth out the surface of the bed. The clean clay gets pretty smooth by just rubbing it with your fingers. I avoid using any chemicals or alcohol to assist with this in case it affects the rubber soon to be poured. 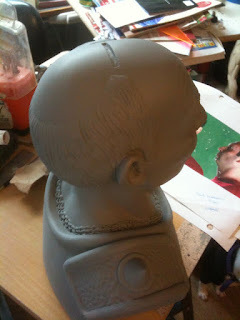 Photo 34: Next I use my dental spatula to get the parting line perfectly crisp around the sculpture. 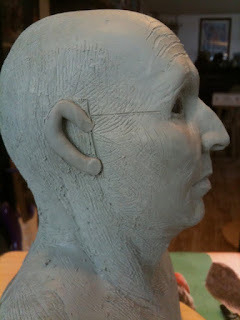 It’s important to get it tight around all of the texture and surface changes, like around the ear lobes. These corners are the prime targets for springing leaks. Photo 35: Using a large putty knife, I cut the outer edge of the clay bed to the final shape of the mold. 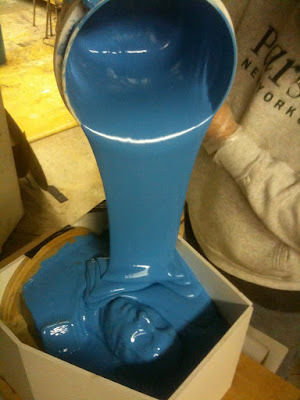 Given that the silicone is over $100.00 a gallon, there is no sense in wasting it on corners! The key is to have the rubber thick enough around the sculpture that it supports the weight of the casting material being poured into its negative cavity. There is no set measurement, because every size and shape sculpture will have different needs. But as I look back on how I learned, I think I would advise that more rubber is safer than less, and you will figure out how to cut back as you get more of a feel for it. 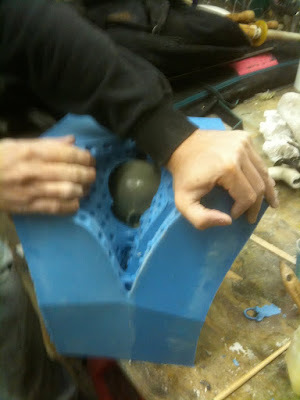 Photo 36: This image shows the beginning of the mold key. This is what will hold the two halves of the mold together when it’s done. Again, there is no set measurement or ratio for the dimensions of the keys. The important thing is that there is enough surface area for one side to grab the other. Photo 37: Once the main keys are in place, I make a random pattern of registration keys by pressing the handle of my xacto knife into the clay. A ¼ inch is a good depth. Too shallow and the mold halves could still slip, too deep and the soft rubber pegs can bend and hold the mold haves apart, even if it looks closed from the outside. Photo 38: Now I build a box around the whole thing. I use 3/16” foam core, scoring the corners so the entire wall is one solid sheet. You could use individual pieces for every side, but you run a greater risk of leaks having all of those open joints. Make sure you secure all the corners really well, and hot glue the bottom to the board all the way around. Photo 39: It’s time for the rubber! The general rule is 10% catalyst to 100% base, but I usually mix it by color. The darker the blue, the faster it sets. 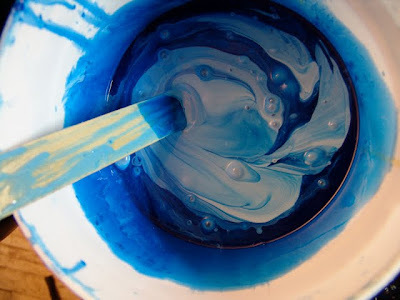 But beware, too blue and your mold will deteriorate very quickly! 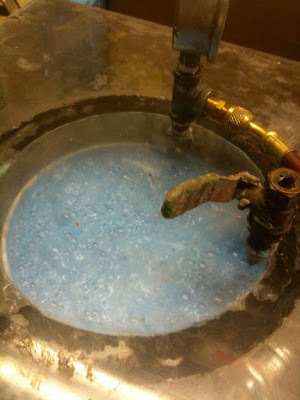 Photo 40: I always evacuate the air out of my silicone using a vacuum pump. It makes the rubber denser, and you get minimal air bubbles trapped in the mold. Photo 41: Pour a small amount of the aerated rubber into the box. 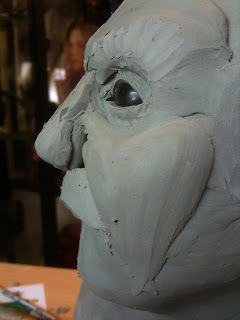 I usually try to pour around the sculpture, instead of on it, and allow the rubber to rise up along the clay surface. This helps prevent air from getting trapped under the rubber as it pours down. Photo 42: Wearing latex gloves, gently rub your fingers through the rubber and over the sculpture. Massage the rubber into the detail to help force out air, but always remember to not put too much pressure on the soft clay. Photo 43: Once I feel that I have coated the surface of the sculpt enough by hand, I pour the rest of the rubber into the box. 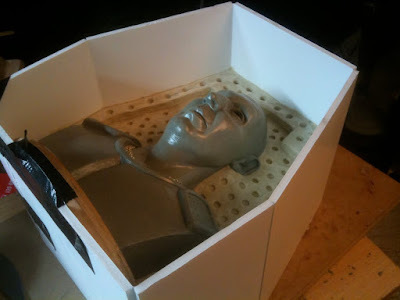 I still keep to the side of the mold and allow the liquid rubber to flow over the sculpture on its own. 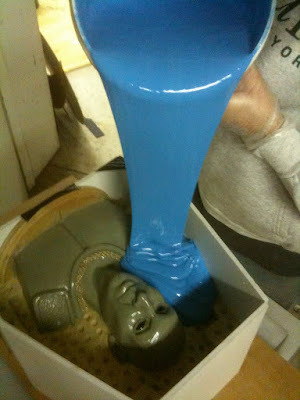 Photo 44: I’ve mentioned a few times that silicone is very expensive, and doing box molds like this consumes a lot of it. 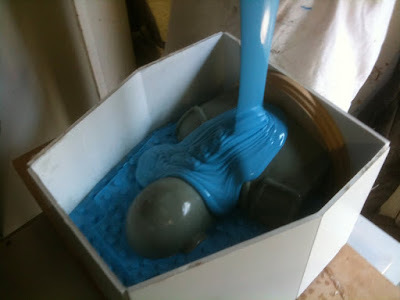 The rubber itself is not reusable in the sense that it could be broken back down to liquid form and recast, but silicone does bind to itself, so any mold that I retire usually gets diced up into cubes and used as “filler” in larger molds. Photo 45: When your box is about half full, place the cubes around the sides of the mold, putting more in the open pockets of liquid rubber. Avoid putting any right on or near the sculpture, as they could settle against the piece and create air pockets or distortion in your mold surface. Also, keep the ratio of cubes to fresh liquid silicone heavy on the latter. 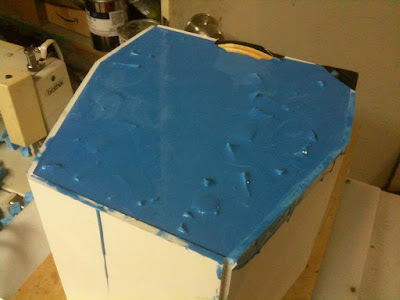 Too much cured silicone will weaken the integrity of the mold. Photo 46: Cap the mold off with the rest of your liquid rubber. You want the top surface of your mold to be smooth, so make sure the cubes don’t float to the top and stick out like they are in this picture! This will interfere with the casting of the positive later. Photo 47: Seemed to have skipped a few steps photographically here! No worries, they are pretty simple to explain. 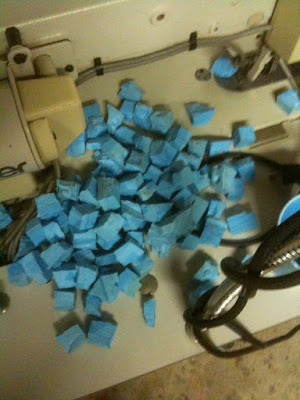 Once the rubber cured, about 10 hrs, I flipped the box over and carefully removed all the chunks of clean clay. 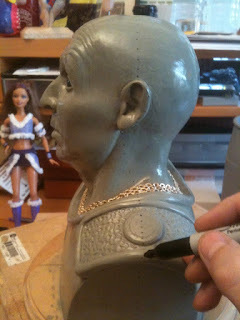 The trick here is to not distort the foam core, and more importantly, not pull any of the sculpture off accidently! This is why it was so important to pack that clay bed loosely. 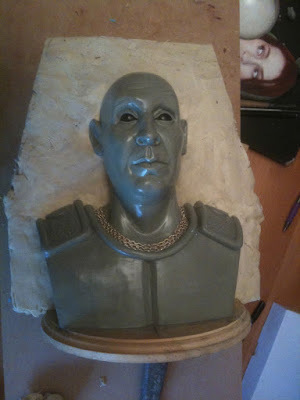 Once all the clean clay is gone, I used a small brush to coat the entire surface of the silicone with Vaseline. Be very careful to not get any on the sculpture. It won’t affect the clay, but you will end up with blobs of petroleum jelly covering all that texture you worked so hard on and it won’t reproduce in the mold. Once you are sure that all the rubber is covered, make another batch of silicone and repeat the pouring process as mentioned above. Photo 49: The mold gets pried open! 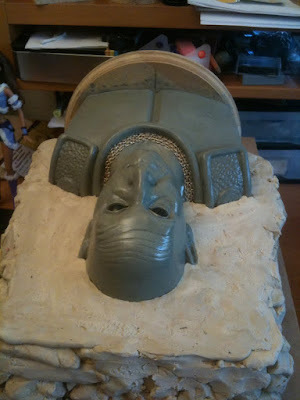 As long as the Vaseline fully coated the first half, the finished mold should come apart pretty easy. Everyone misses a spot now and then, so if a section binds, just go in with an xacto knife and cut it apart. 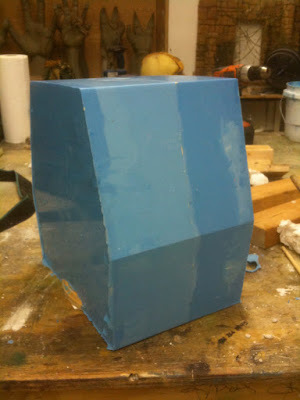 Photo 50: And there you have a finished Vork silicone RTV box mold! This mold will allow you to cast positives in almost anything, from wax, to plaster, to prototyping urethanes, and low temp metals. Photo 51/51a: So this blog has gone on long enough! I’ll skip the details on casting. I can get to that in another entry, if I haven’t covered it already in the past. Jumping ahead, this is how I finished Vork: Taking a positive cast in BJB 1630 urethane, I sanded it smooth and used Magic Sculpt to add the spikes, hair, and eyebrows. I also used an OLFA saw to cut in the money slot at the top of Vork’s head. Now he is officially a bank! Believe it or not, I actually did the whole molding process again! It went slightly faster since I was working with a hard casting and didn’t have to be as diligent as when I was molding the original clay. 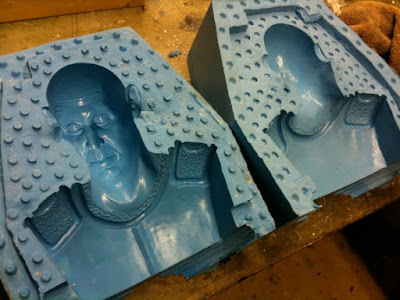 The process was exactly the same, and the molds even look the same! Except the final mold will yield shiny, smooth, mass-produced looking Vorks! Photo 52/52a: And I did cast up a bunch of them! I made one hollow so the coins could actually go in, one solid with a slightly flexible urethane so it could be hammered and slammed in a door, and another 1630 version, a super dense urethane that could withstand a car driving over it! My fear was that even if a casting survived each torture, the paint job wouldn’t, so I wanted multiples to insure Vork always looked fresh on camera. I used Tamiya spray paint for the flesh and green base colors, then Testor’s model paints for all of the details. Photo 53: And that’s how the VORK UNBREAKABLE BANK came to be! It was so much fun to make. Thanks again to @feliciaday for letting me make this cool stuff. And very special thanks to my friends Jeff Lewis and James Kyson Lee for making the VUB commercial so freaking funny! Alright, I gotta go open some presents now. All I really want for Christmas is a Cheesybeard’s T-shirt!